The company complies with standardised manufacturing products as laid down by the World Health Organization. 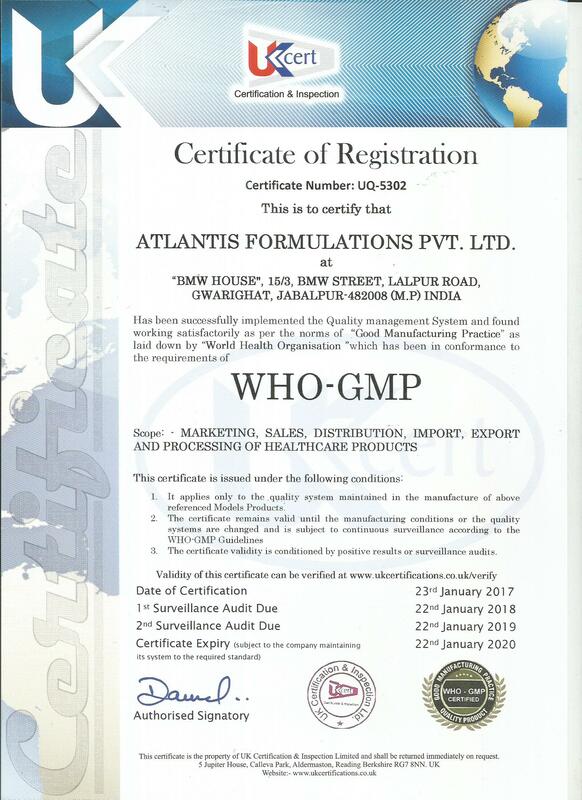 Company is proud to be bestowed with WHO- GMP & Schedule M certification. 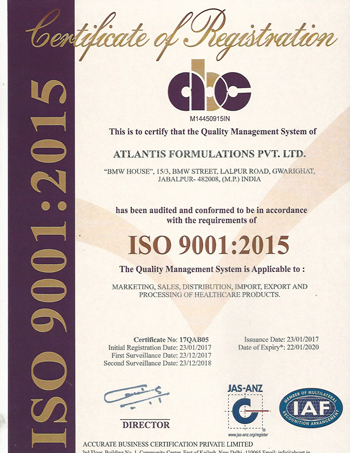 In addition to this company has been accredited with ISO 9001:2015 certification as well.